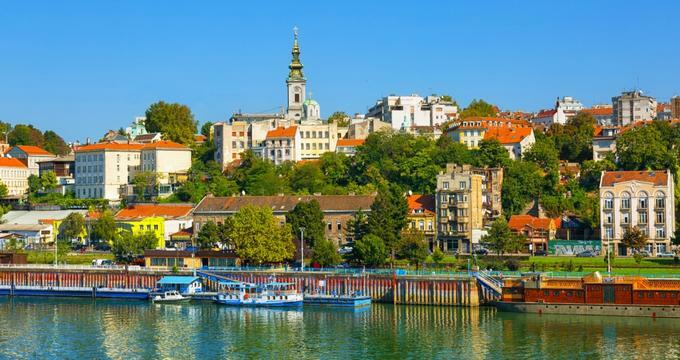 Located on the Balkan Peninsula, the country of Serbia is home to beautiful landscapes and a fascinating history. With a storied past that includes heavy involvement in the Roman Empire, the Ottoman Empire, and the invasion by the Huns, Serbia’s architecture contains everything from the ruins of an imperial Roman palace to a tower literally made of human skulls. The country’s involvement in several 20th century wars, particularly World Wars I and II and the Yugoslav War of the 1990s, left Serbia with many battle scars and memorials that mark these wounds. Visitors will find evidence of the country’s history everywhere they go, from the legends that follow the Devil’s Town to the chandeliers made of weapons in Ruzica Church. Once there was an entire village surrounding this Romanesque church, which was built in the 13th century. But after hundreds of years of razings, invasions, and repeated destruction, all that stands now are the ruins, which include several walls, arches, and part of a tower. Its final destruction occurred in 1551 at the hands of the Ottomans, and unlike past occasions the church was never rebuilt after this final tragedy. Today, it sits in the center of a corn field and its partial structure, still reminiscent of the grand building that once stood there, serves as an eerie and otherworldly reminder of a time past. The building that houses the Belgrade Aviation Museum looks like a giant glass mushroom with curved, mirrored glass panes that rise up in an exaggerated bulb from the base. 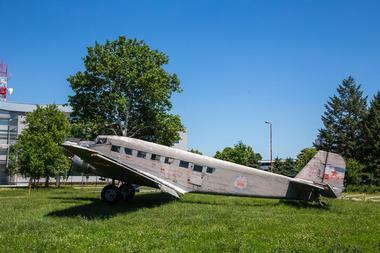 Located near Nikola Tesla Airport in Belgrade, the Aviation Museum tells the story of flight in Serbia, from the early 1900s to the present. Inside, there are planes from World War II and, interestingly enough, the museum holds three planes from this era made, respectively, in Germany, Britain, and Russia, all bearing Yugoslavian livery. It’s a unique quirk of Serbian history, and one of the stories that visitors will learn in the museum. Both inside and out, guests will find pieces of history, from the well-preserved aircraft on display in the exhibits to the hulking ruins of old aircraft outside the museum. 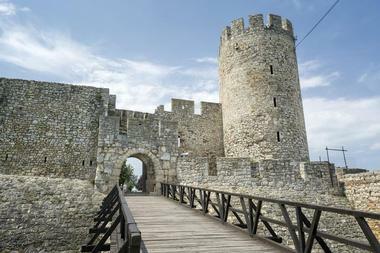 Belgrade Fortress is located where the Danube and Sava rivers meet, making it a strategic place for a settlement. This is why the site of Belgrade Fortress has been used by humans since the neolithic period. The Romans, during the 1st century AD, were the first to build anything here, and since then, structures have been built and destroyed regularly until the current Belgrade Fortress was constructed in the 18th century. However, these walls still contain pieces of the fortress’ Upper Town, which was built in the 15th century, and today visitors can explore all parts of the old fortress for a fascinating look at the way history has unfolded and endured over the years. The Belgrade Tesla Museum honors the life and works of esteemed scientist Nikola Tesla, who is famous for his work in the field of electricity and for his invention of the AC electrical system, the Tesla coil, and much more. Tesla was Serbian, although he was born in a part of Austria that is now Croatia. At the museum, visitors can view thousands of his belongings, including documents and equipment. There are also several models of his inventions and his labs all over the world, and Nikola Tesla’s death mask as well as his ashes are held at the museum, in a perfectly round golden sphere. 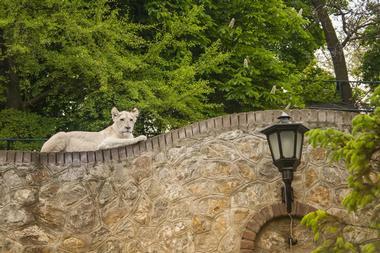 The Belgrade Zoo is located in Kalemegdan Park, which is the central park of the city of Belgrade. It is one of the oldest zoos in all of Europe, and was first opened in 1936. The zoo is open 365 days a year from 8am until 6pm, and the last tickets of the day are sold about half an hour before dusk. This zoo, also called the Garden of Good Hope, is home to 1,700 animals and boasts the highest rate of natural conception of any zoo in Europe, which means that the animals there are generally quite happy and healthy. One of the residents of the zoo, an alligator named Mujo, has even been with the Belgrade Zoo since it was first opened, and is the oldest captive American alligator on record. 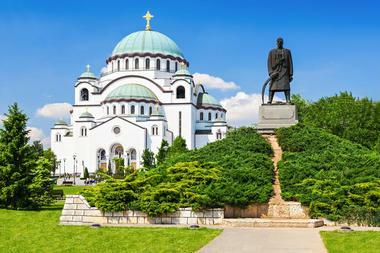 This massive church, located in Belgrade, is the largest Serbian Orthodox Church in the country and one of the largest churches in the world. Atop the Vracar plateau, this impressive Orthodox church and its high green domes topped with golden crosses are visible from all over the city. And even when they aren’t visible, each day at noon, almost 50 bells will chime and their ringing can be heard for miles. The church holds up to 10,000 people at one time, and stands as an iconic symbol of faith for Serbian Orthodox worshippers. 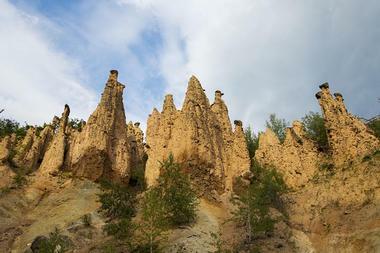 In southeastern Serbia, a curious rock formation called Ðavolja Varoš, or “Devil’s Town,” stands on the Radan Mountain. These tall, thin rocks stand up to 15 meters tall, most topped with “heads,” and are purported by legend to be the remains of an ancient wedding party that was turned to stone by the devil. In actuality, the formations were created through years of soil and wind erosion. Visitors to Devil’s Town will enjoy the spectacle of these strange rocks and can take a hike to the nearby mineral springs, which are extremely acidic. Perched precariously atop a large rock in the middle of the Drina River, this small cabin looks more like a practical joke than an real thing. 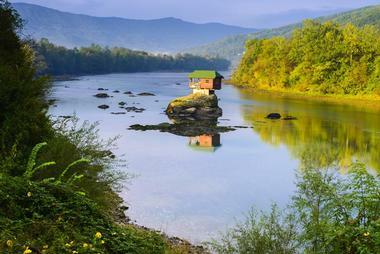 However, the little house balanced on the rock has somehow withstood over 40 years of rising and falling water levels on the Drina. Built by a group of friends during the 1960s, who wished the use the rock as a place to lay out in the sunshine and go swimming, the small one-room house was built completely by hand and has since been used as a holiday home for its creator. The house is private property, and although it can be viewed by anyone, it is not open for visitors. This museum, located in Belgrade, is one of the oldest in the Balkans and documents the cultural history of the nation of Serbia. The museum is huge, containing about 100,000 documents and paintings and about 60,000 other artifacts. Visitors to the Ethnographic Museum can learn about Serbian folk culture, traditional folk dress, agriculture, religious customs, and traditional crafts like pottery and weaving. 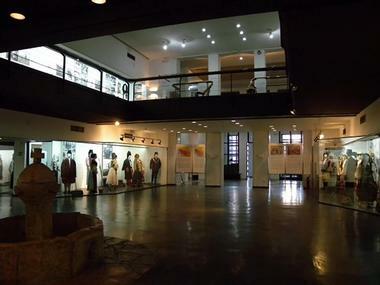 The museum’s exhibits contain jewelry, textiles, weapons, tools, and household items from many different eras and locations in Serbia, and it aims to teach visitors about the long and colorful history of this nation. Fruska Gora is the tallest mountain in the region, an isolated peak for which this national park is named. It is home to some incredibly unique fossils, and this has earned it a nickname as the “mirror of the geological past.” Visitors to Fruska Gora National Park will find 35 monasteries, dating back as far as the 15th century, and many small mountain huts that can be found on the slopes of Fruska Gora. There are several well-marked trails on the mountain that are great for hiking, including one which is used for the Fruska Gora Marathon, and passes through many of the huts, monasteries, and small villages in the park. 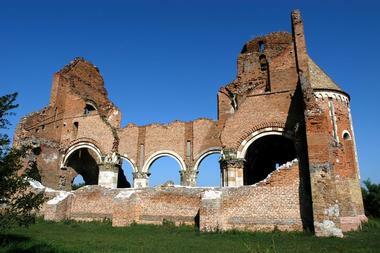 In the year 289 AD, a palace complex was built on this site near modern day Zajecar to memorialize the birthplace of Roman Emperor Galerius. It was named for his mother, Romula, who was a pagan priestess, and the palace was the largest in the region. 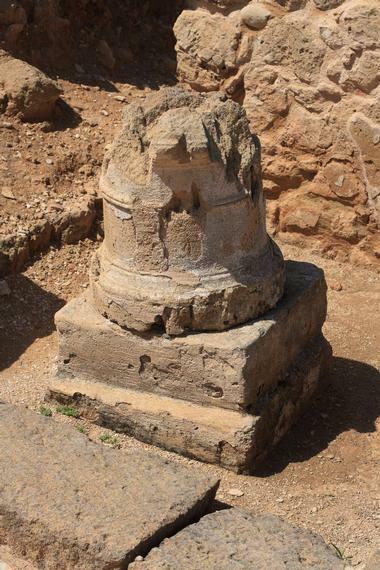 It served as a shrine to both his mother’s divinity and Galerius’ own glorious deeds. In the 5th century, long after the emperor was gone, the palace was destroyed by the Huns and became a settlement for common folk like farmers until the Slavs arrived during the 7th century. Today, archeological efforts have unveiled the ruins of this palace, and visitors can see the site and the remaining structures where it once stood. The town of Golubac is located on the eastern border of Serbia, across the Danube River from Romania. 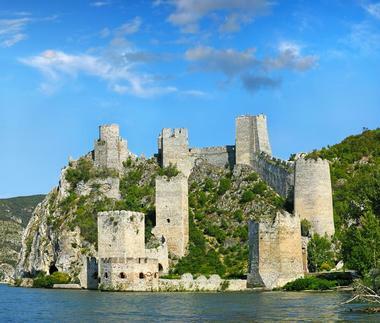 It is an easy 2-hour drive from Belgrade, making it a great spot for a day trip, and it is home to the ancient and unique Golubac Castle. This stone fortress was built in the 14th century, with sweeping curtain walls and tall square towers. It is incredibly well preserved, with most of the castle intact, except for one thing: it is partially submerged in the waters of the Danube River. A hydroelectric dam built in 1964 caused flooding on the hill where the castle is located and, as a result, some of the outer walls of Golubac Castle are underwater. The Kosmaj Monument was built in 1970 and consists of six massive pieces of concrete, which extend outward from a central point like a very spiky star. It is located on top of the tallest mountain in the region and can be seen for miles. The monument memorializes Serbian soldiers who fought against the Germans when they occupied Belgrade during World War II. Over 5,000 of these soldiers lost their lives in the battle for freedom, but they never gave up and never stopped fighting for liberation. Unfortunately, today the monument has been vandalized and has fallen into a state of disrepair, but it is still an impressive sight and an impressive legacy to those to whom it was dedicated. Bubanj Park in Niš has walking trails and grassy spots where people sit and picnic, but the centerpiece of this park is a giant marble monument, standing over 20 meters tall. 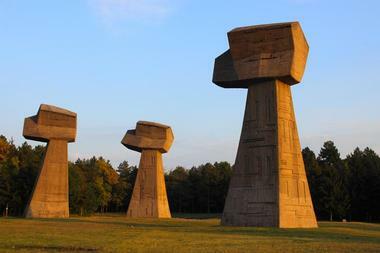 The five monoliths that make up this piece represent the progression of World War II for Serbians in the area. The park itself actually marks the site of one of the most horrific mass executions in Serbia, where German forces took more than 10,000 Serbians as prisoners and then shot and killed them all. Most of the victims were civilians and citizens of Niš, and their lives are remembered by this monument and the park it stands in. 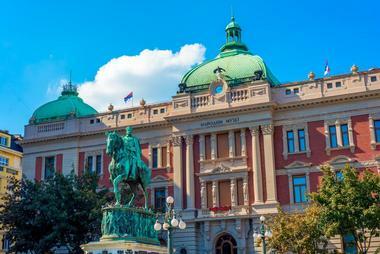 The National Museum of Serbia, located in Belgrade, is home to over 400,00 artifacts relating to the history of Serbia, including artwork, books and documents, and archeological and historical artifacts. The collection of the museum is constantly expanding, but some of the most popular and significant items on display include paintings, frescoes, and prehistoric works like carvings and pottery. 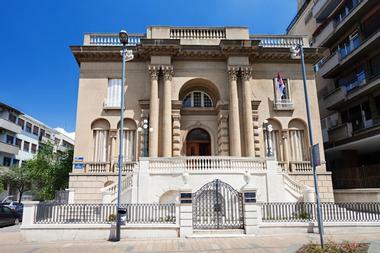 The museum was opened in 1844, making it the oldest museum in all of Serbia and the former Yugoslavia. Visitors can explore the museum and its many collections from Tuesday to Sunday, as the museum closes on Mondays. Niš Fortress is a huge and ancient structure built by the Turkish Empire, and it is one of the best preserved fortresses of its kind. Located right on the edge of the Nišava River, Niš Fortress is a gigantic structure that brings to mind visions of medieval kings and queens, with its wide curtain walls and crenellated battlements. Although the fortress as we see it today was constructed during the 18th century, the history of Niš fortress goes back much further. The Romans built a settlement and fortress on the same site during the 2nd century, and this was followed by still more structures from the Huns and the Turkish. Another World War II memorial in Serbia, Popina Memorial Park is dedicated to the lives lost in 1941, when German forces met Serbian forces at this site for the first time. The memorial monuments in Popina Memorial Park are all large stones of various shapes, some in the shape of pyramids and others that look like large arches. Each of the stones has a hole in it, seemingly blasted from the sculpture by force. 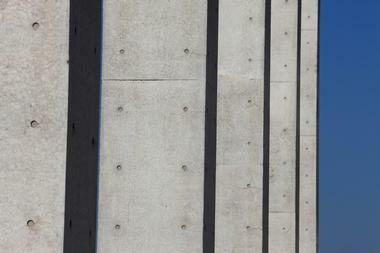 Viewed from a certain angle, the holes line up to form an eerie tunnel. This park is not often visited by tourists, and its emptiness makes it all the more solemn and unearthly. This cave in Eastern Serbia is one of the oldest in the country, with some parts of it dating back 80 million years. 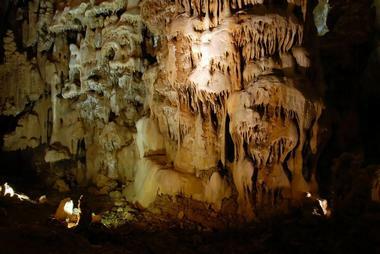 The caves were created by a subterranean river that once ran through the limestone bedrock beneath the Earth’s surface. The water left mineral deposits on the rock, creating the colorful caves that can be seen today. A roughly 800m stretch of the cave has been made safe and accessible for tourists to visit and explore, though the entire cave is much larger. Visitors will find various halls of stone within the cave, full of stalactites and stalagmites, some of which have names due to their unique shapes. The Vucjanka River runs through the Serbian municipality of Leskovac and originates in the town of Vucje. This small Serbian town is known best for Kukavica mountain as well as for the river that shares its name. 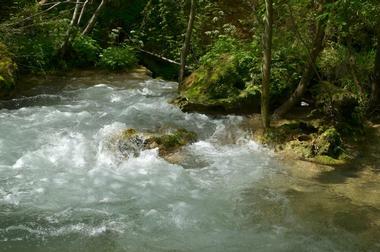 The Vucjanka River flows along a rocky bed and has many cascades and waterfalls. There are many spots along the river that are great for swimming, wading, and fishing, and many locals enjoy sunbathing on the river’s edge. There are plenty of hiking paths that run alongside it, in addition to the Vucjanka Resort, which has renowned sports facilities. Not all monuments are statues or sculptures, appreciated for their artistic value. 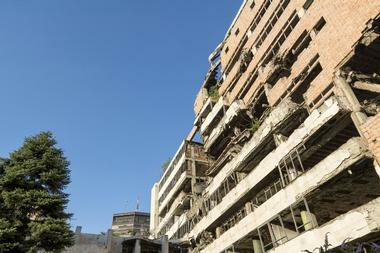 The ruins of the Yugoslav Army Headquarters, in Belgrade, are simply an old brick building, nondescript but for the gaping hole that was blasted into it by bombing during the NATO campaign in the 1990s. Its destruction was mostly symbolic, as no one was in the building at the time and it had been evacuated days earlier. Today, it still sits in disrepair, and although it’s certainly far from the most attractive sight in Belgrade, it’s incredibly symbolic to Serbians and serves as a reminder of the lost war. The Ruzica Church, which stands on this site in the Belgrade Fortress, is actually the second of the same name to be built there. The first was destroyed by the Turks in the 16th century, and this Ruzica Church was built in 1867 and then rebuilt after World War I. 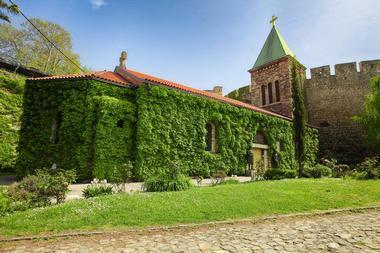 The exterior of this small church is covered in ivy, which coats its walls like a blanket. On the inside, visitors will find colorfully painted ceilings and, most curiously, chandeliers made entirely from old weapons. Soldiers who helped to rebuild after World War I used swords, parts of cannons, and spent shell casings to craft the incredibly unique lighting fixtures of Ruzica Church. The town of Sirmium was founded during the 1st century by the Roman Empire, and in 294 was declared one of the four capital cities of the Romans. 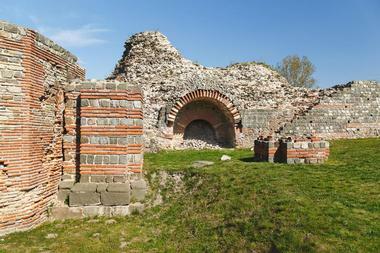 Located on the River Sava, Sirmium today bears a lot of evidence of its former Roman importance. There are ancient roads and aqueducts as well as the ruins of Roman architecture, including imperial baths, a theater, and even a hippodrome, which was once used for horse and chariot racing. At the end of the 4th century, Sirmium’s end came with the end of the Roman Empire when it was destroyed by invaders. 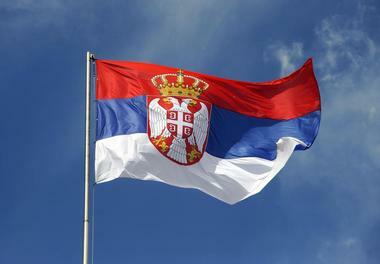 In 1809, the Serbs stood up against the Ottoman Empire in a desperate bid for freedom. They were doomed to lose, and at the end of a bloody battle, blew themselves up with a keg of gunpowder, taking many of their enemies with them. Angry and vengeful, the Turkish leader sent a message to anyone else who thought to defy the Ottoman Empire by mutilating the bodies of the rebels and using their skulls to build a tower at the city’s entrance. 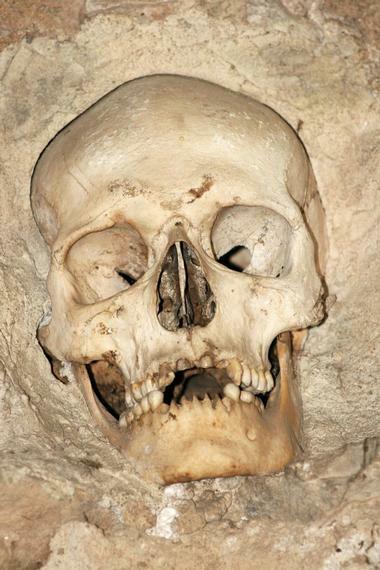 After the Serbs finally achieved freedom in 1815, the families of some of the dead chiseled away most of the skulls to give them a proper burial, but there are still about 60 still in the tower. 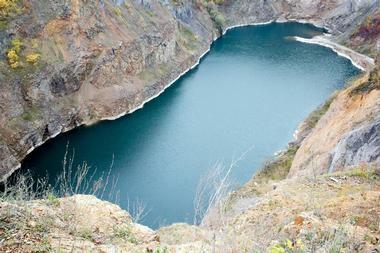 The Uvac River stretches for about 75 miles through Serbia, carving its way through the valleys between mountains, and creating a wide blue rift between thickly forested tracts of land. 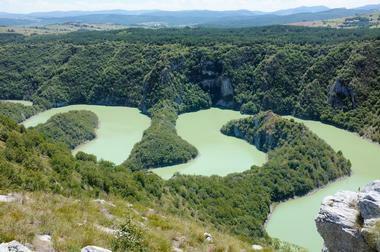 The Meanders are a portion of the Uvac River where it bends back and forth in a series of tight loops and zigzags, between tall, imposing canyon walls and green landscapes. It’s an incredible view of a truly unique part of nature, and is home to many rare and notable species of bird and fish, including the very endangered griffon vulture. 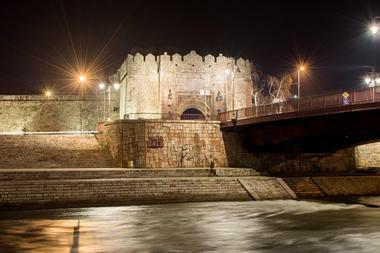 The Western City Gate of Belgrade is not a traditional gate but a complex of linked towers that stand at the western edge of Serbia’s capital city. The towers are connected by a bridge at the top of the buildings, and one of the towers has a restaurant above the bridge, which revolves so as to give its guests a continually changing 360-degree view. 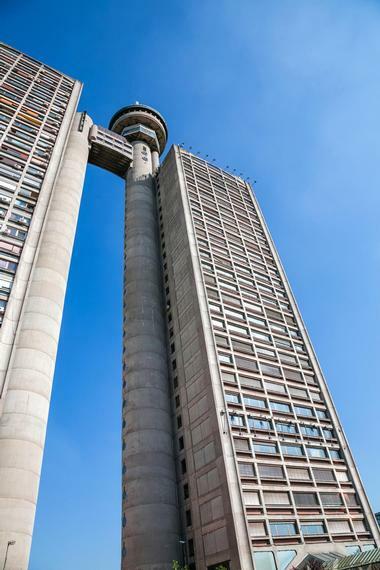 The pair of towers are some of the tallest in Serbia, with 35 stories that are home to offices and residential spaces. Visitors to Belgrade can take an elevator to the top of the towers, where they can traverse the bridge to reach the other tower and the restaurant there.